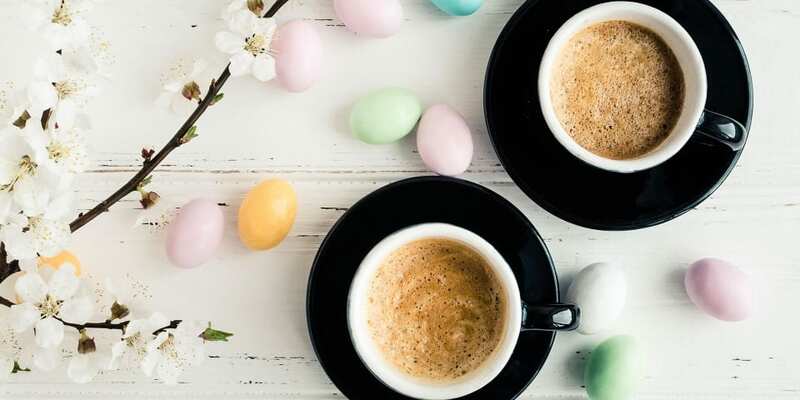 If your idea of heaven is tucking into a Easter egg with a nice cup of coffee, make sure you’ve got the perfect match for your ultimate after-dinner treat. 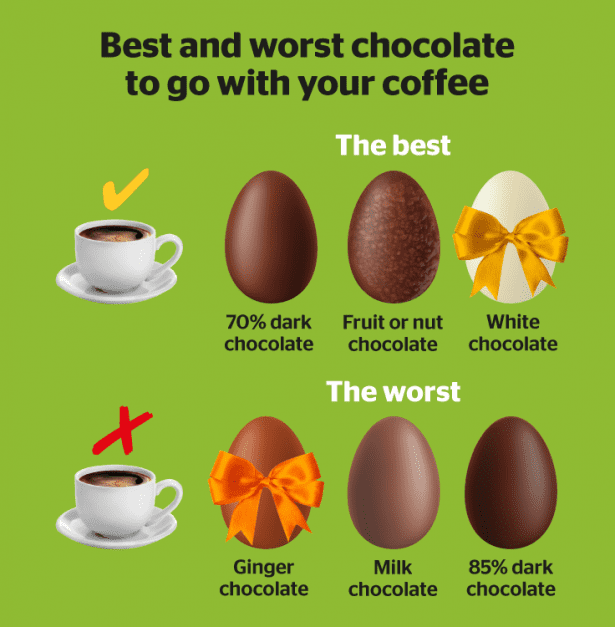 Our expert tasters recommend opting for an egg that’s made from 70% dark chocolate or contains nuts or fruit. And, in a result that surprised even them, it turns out white chocolate works brilliantly too. 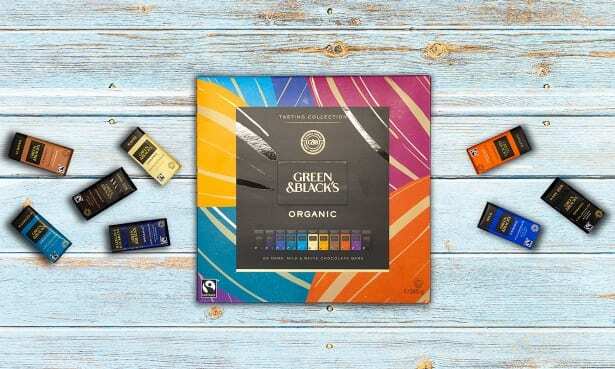 The panel tested a Green & Blacks selection box which included a range of different flavours such as milk, white, dark (70% cocoa solids), very dark (85% cocoa solids), almond, hazelnut, fruit and nut and ginger chocolate, with coffees made from Best Buy Nespresso-compatible pods. While some chocolates complemented the flavours of the coffees, drawing them out, others clashed. Ginger chocolate didn’t go down well, with one expert likening it to a ‘war zone in your mouth’. Chocolate that contains 70% cocoa solids pairs really well with coffee. According to our experts it has a natural affinity, being neither too sweet and milky, nor too dark and bitter. Chocolate with fruit or nuts worked nicely too, complementing the fruity and nutty notes often found in coffee. White chocolate was a surprise hit with our panel. They said that the creamy, buttery notes of the white chocolate took on a pleasing caramelized sugar note when combined with coffee, with one expert describing the flavour combination as ‘astonishing’. Which chocolates don’t work as well? 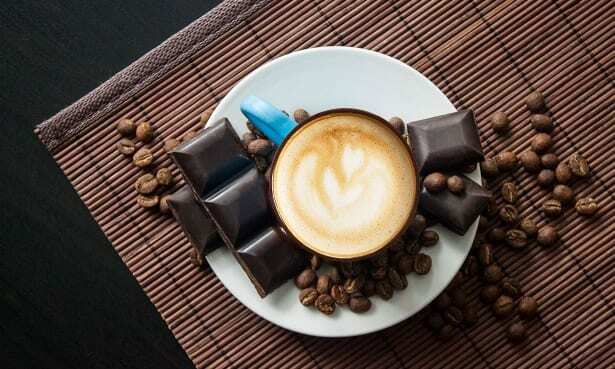 If you like chocolate with ginger in it, having it with coffee won’t bring out its – or the coffee’s – best qualities. One disappointed panellist described it as ‘a war zone in your mouth’, while another said it made the coffee taste like it had been flavoured with a syrup. The panel also didn’t rate milk chocolate as a coffee accompaniment. They said it falsely sweetened the coffee, pulling attention away from the coffee flavours. Going too dark with your chocolate is also a no-no. Our panel agreed that an 85% cocoa solid variety was a bit much, even for a strong Italian or Brazilian roasted bean coffee, as the bitterness of the flavours overwhelms the palate. Nespresso, Dolce Gusto or Tassimo – which pod coffee machines makes the tastiest brews? This will often mention particular flavourings or ‘notes’ that you can use to match up your chocolate. For example, a coffee with notes of berries would go well with a fruity chocolate. Chocolate with a very distinctive flavour, such as ginger, may not be the best bet, as it can end up clashing with the coffee. The experts agreed that good quality dark chocolate with 70% cocoa solids was the safest bet for a smooth and pleasing flavour combination.